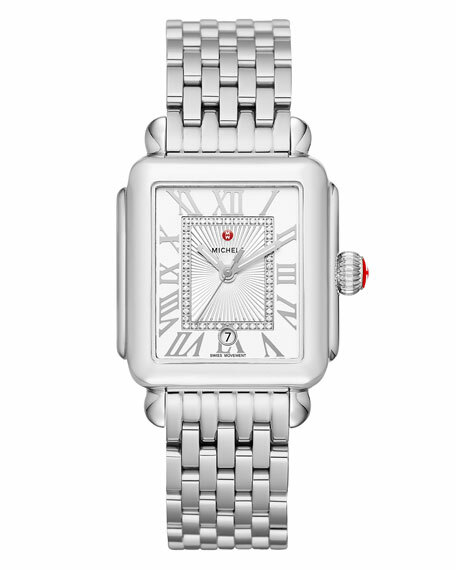 This stainless-steel Deco Madison offers a sleek take on the classic Deco with Roman numeral indexes and 47 diamonds on the silvertone sunray dial. MICHELE watch heads and straps are sold separately. 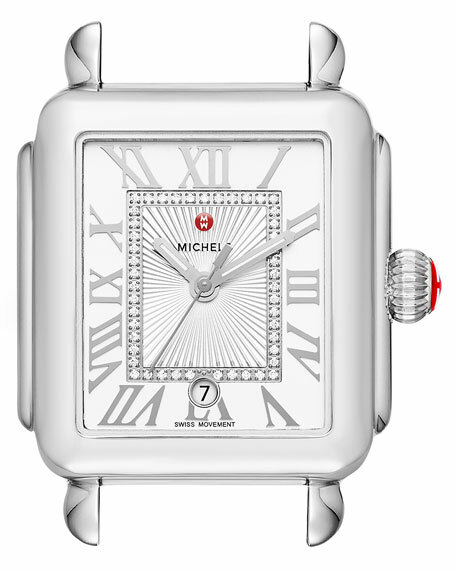 MICHELE watch head from the Deco Madison Collection. Solid stainless steel case, 33 x 35mm. Silvertone sunray dial with pavé diamond track. 47 diamonds; 0.11 total carat weight. Roman numeral hour markers; date display window. 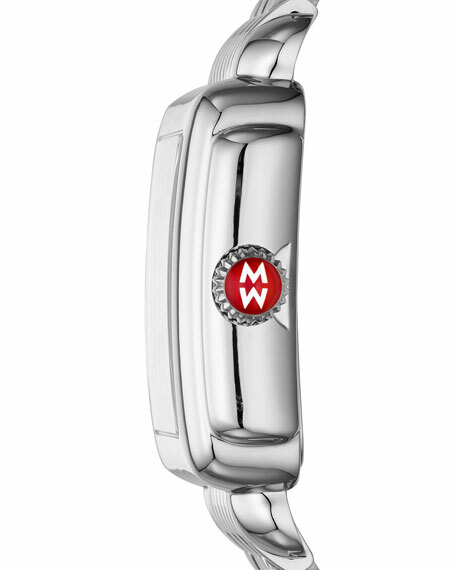 Signature MICHELE red winding crown. Easily interchangeable MICHELE Deco watch straps (sold separately). Water resistant to 5 ATM/50 meters/165 feet.